The Germans have a word for that specific kind of excitement we have whilst sat at our desks, dreaming of that post-work pint. 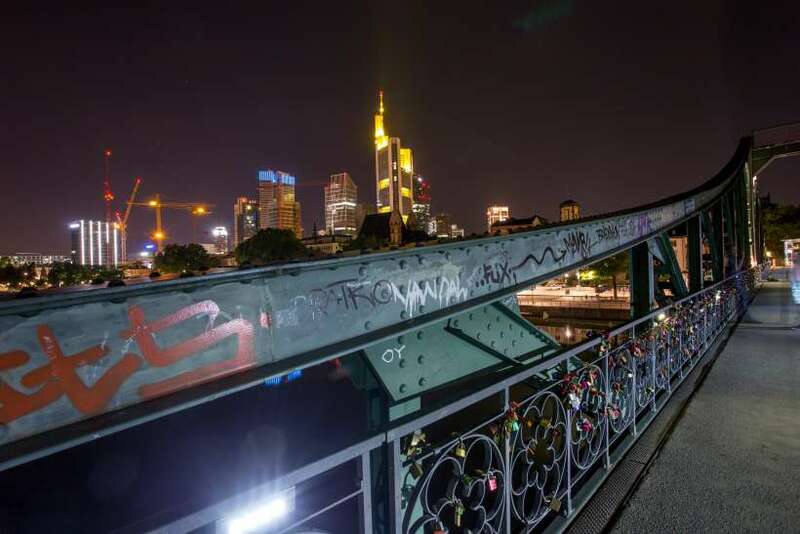 They refer to it as feierabend – and in Frankfurt that time of day which is reserved for the thirsty workers and their inebriated fist-bumps is felt throughout the city. The word as well as the experience of drinking in this tipple-loving city are untranslatable, so here are some of our favourite places to get that feierabend feeling so you can see for yourself. 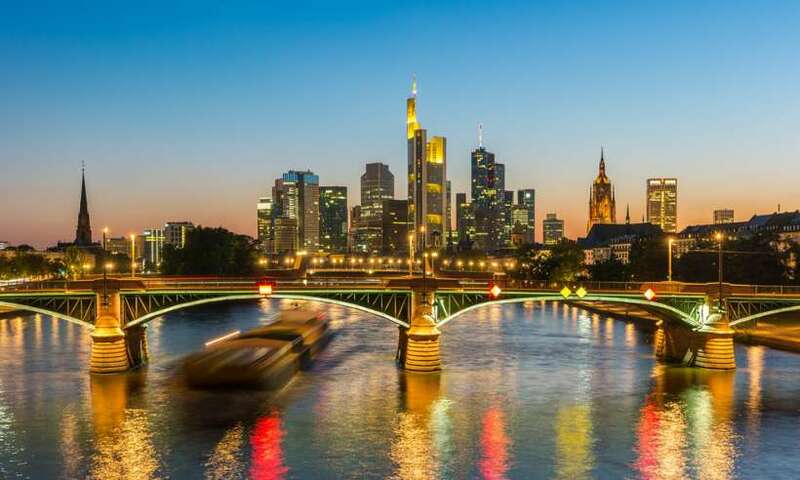 Home to the largest range of skyscrapers in Germany, Frankfurt has the feel of a somewhat small-scale New York City. The buildings here stretch higher than any others in Germany, so a drink high in the skies is encouraged to get the full impact of this city. At 240 metres high, The Main Tower is perhaps one of the best places to get your bearings (and then lose them again by the third cocktail) as panoramic views of the city sweep out around you. Come here for your first night settling-in tipple – and watch how the city’s sea of lights come to life after twilight. The tower’s art gallery is open from after 5pm on Fridays, and it features a heavy emphasis on abstract works. As you enter the Old Fritz and are immediately greeted by two very large flamingos, you’ll find that a crude confrontation with art is a theme that runs throughout the city. It’s not the nicest looking place, but some art was never supposed to look nice. In the words of its owners, ‘art is supposed to make you feel something.’ In this case, it’s supposed to make you feel drunk. 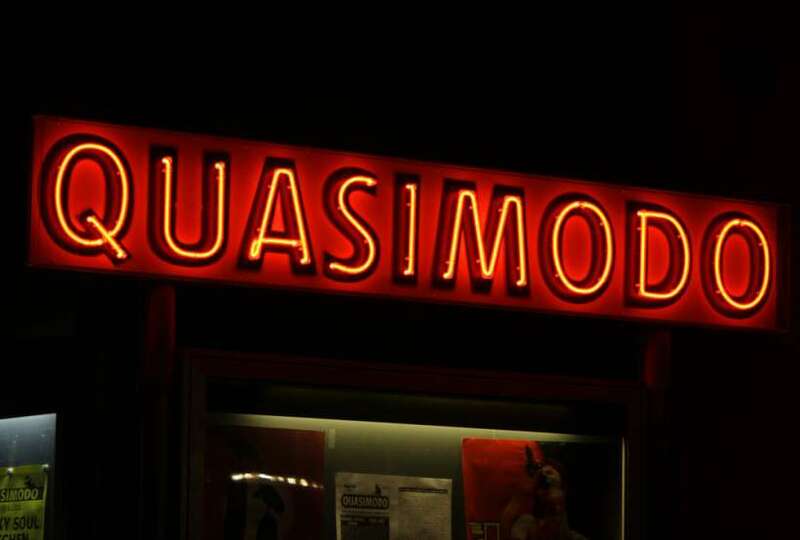 Serving up some of the cheapest drinks in Frankfurt, you can go from lager to a White Russian with no fuss at all. The bar staff are kind and welcoming, and the locals will be happy to see just what the first-timers are letting themselves in for. The Old Fritz allows smoking inside which can either be a turn-on or a turn-off, but it’s just another part of the bar’s gritty personality and charm. The Jazzkeller has been around for more than 60 years and in that time it’s played host to the likes of Chet Baker and Frank Sinatra. In its lifespan it has already accumulated a legendary history, which can be felt as soon as the lights go down and the musicians take to the stage. Swilling a glass of whisky to the swirls of the saxophone and double bass is a wonderful way to drink in style. It’s a small and intimate joint with enclosed brick walls which will make you feel as though you are in an entirely new world. Wednesday evenings are particularly good times to go as drink prices are at their cheapest and they’re ‘open jazz’ nights – where a starting band warms up the crowd before skilled musicians from all over the city take to the stage. The Primus-Linie Cruise is an alternative for taking in the striking cityscape whilst getting a good drink on. This night-time cruise has an onboard bar and DJ and is dedicated to the art of feierabend. This is also a great way to do Oktoberfest as Bavarian specialities are served onboard throughout the month of October. Stumble along the darling cobbled streets of Sachsenhausen with locals and fellow drink-enthusiasts in this nifty little pub crawl. Pub crawls are great, no matter where in the world you are. Not only is it a very reliable way to get very drunk, but in Frankfurt it’s also a pretty great way of seeing places you mightn’t have otherwise, and getting first-hand travel trips from the locals. The Old Sachsenhausen pub crawl is a particularly good deal, since for the equivalent of around £13 you’ll get a welcome drink and a free shot from each of the five locations on the crawl. Once you’re nice and sodden you’ll be taken to the Voices Karaoke Bar – where power ballads and overdramatic hand gestures are greatly encouraged. Set in a converted bomb shelter, The Hinge is very popular among the city’s students and younger crowds. Expect an unassuming mix of indie, britpop, reggae, and dancehall, with the occasional air guitar championship thrown in for good measure. It’s also a cheaper way to stay up all night with very moderately priced drinks. Located on Hanauer Landstraße, which is now known by many as Frankfurt’s clubbing street, The Belle Club has been a champion of Frankfurt’s renowned tech house scene. Though today, this club tries to cater to just about everyone with different events each weekend – from old-school hiphop nights to Great Gatsby-themed parties – this is a pretty safe bet for having a pretty great time. 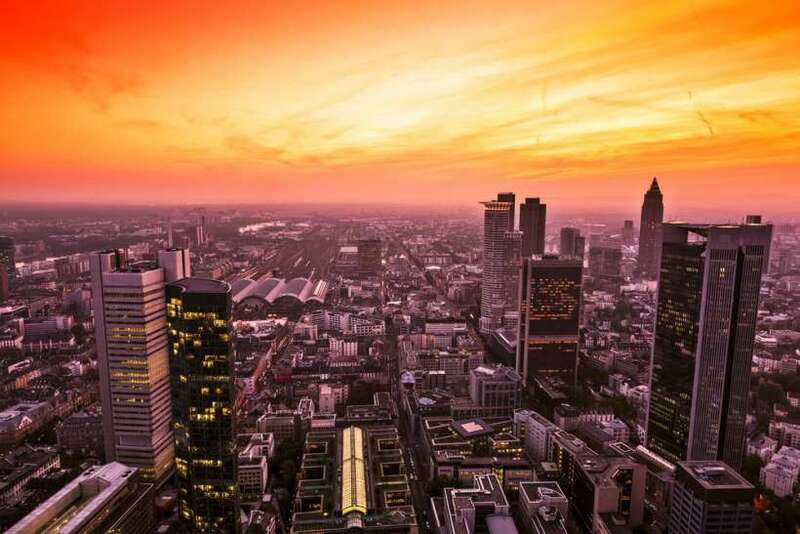 Like the sound of Frankfurt’s nightlife? Check out holidays, hotels and flights there.